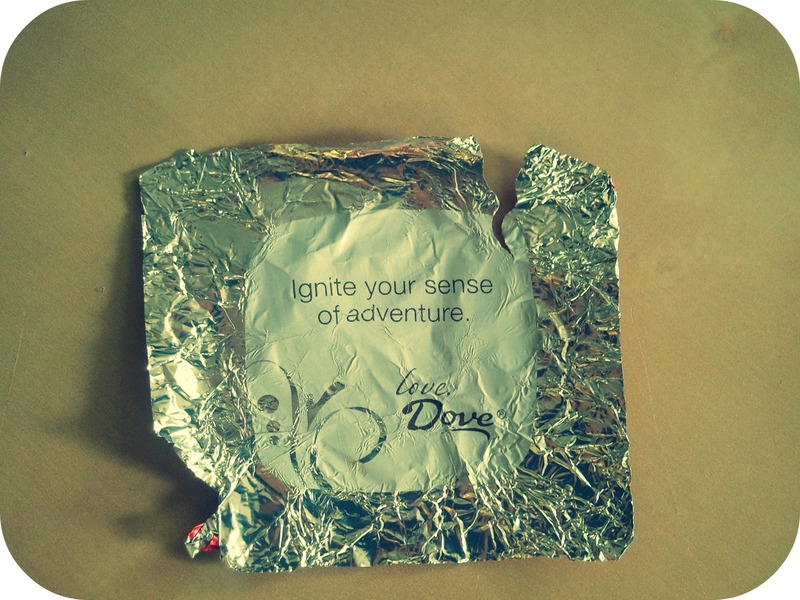 I ate a piece of Dove chocolate candy the other day and this was the message inside the wrapper. I think it’s my personal manifesto. 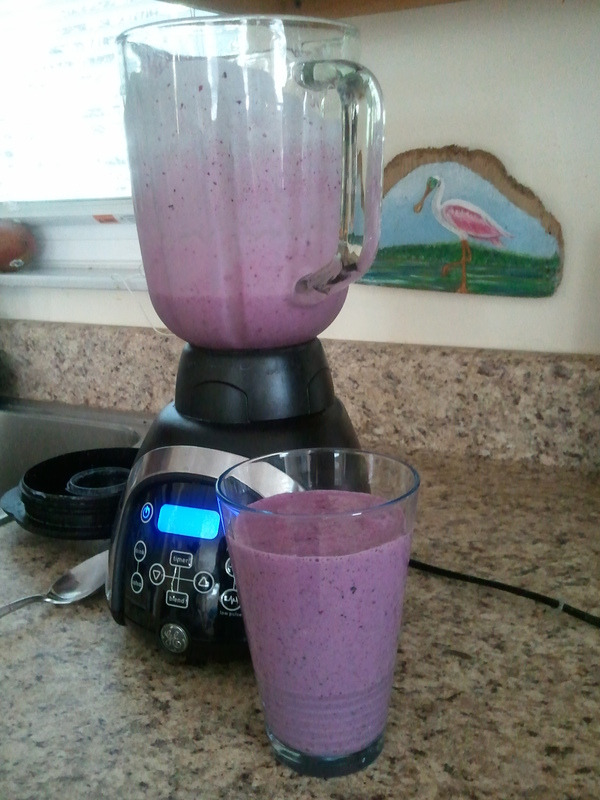 I’m on this new health kick and have been making lots of smoothies for breakfast and lunch. (Dropped 4 lbs in 1 week!) I’m not really a fan of recipes (too many directions – I don’t exactly follow directions) – I prefer to experiment in the kitchen. Smoothies are fun to play with because you can mix a bunch of fruits, veggies and dairy together and the creations are endless! 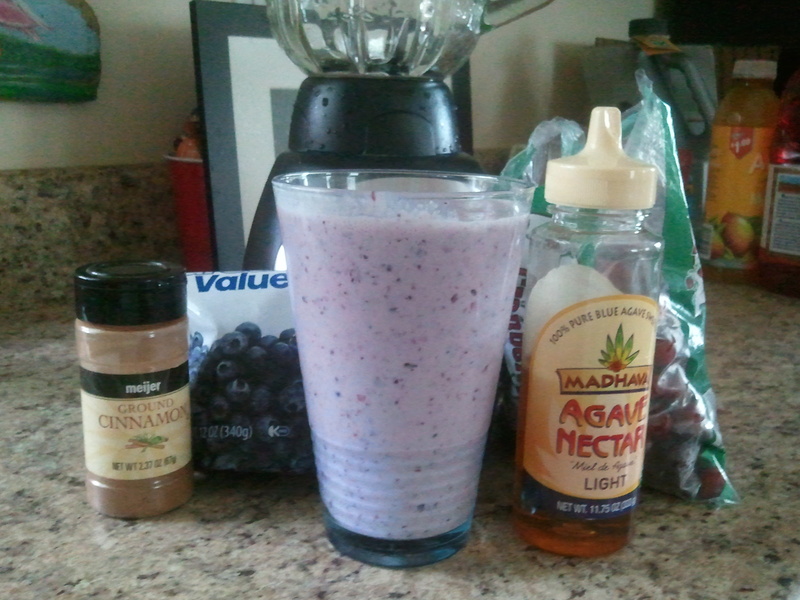 My most recent concoction is absolutely DELICIOUS and was the result of portion-controlled experimentation. Packed with protein and antioxidants, this smoothie makes for a fresh breakfast and is great post-workout. Soy milk – I’ve never been a fan of milk (despite my obsession with cheese), so I use soy milk. September’s also lactose-intolerant, so soy milk is a perfect alternative. Soy milk is a great source of protein and calcium without the possibility of hormones from regular cow’s milk. Greek yogurt – TONS of protein, twice as much as regular yogurt! It has probiotics that are good for your gut, loads of potassium (good for muscles post-workout), and up to 20% of the daily recommended amount of calcium! Not to mention, it’s a perfect substitute for lots of other things in the kitchen. Grapes, blueberries and cranberries – all are full of antioxidants that help prevent disease and slow aging. They’re heart-healthy, digestive-healthy, good for urinary tract health, and Vitamin C. In this smoothie recipe, they’re just the right fruits for a tangy, slightly sour morning burst. Agave Nectar – this is a great, NATURAL substitute for sugar. It’s made from the same agave plants that tequila comes from (no wonder I love it so much!) and doesn’t have any preservatives. Cinnamon – in this recipe, I add cinnamon for that extra spark. 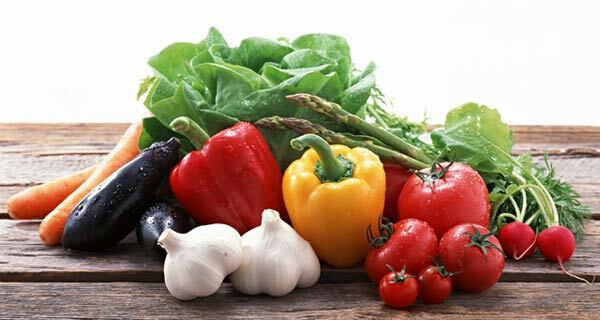 In addition to being delicious, it’s health benefits include stabilizing blood sugar, lowering bad cholesterol, anti-clotting effects, and is a good source of calcium, manganese, fiber and iron. Tip 1: Don’t want to carry your purse when you go out? Use a binder clip as a key ring/money holder. You can clip it directly to your money belt for safekeeping and not have to worry about toting around your purse or bag while you explore. Tip 2: Use a plastic soap container as a camera case! Most containers are waterproof (or water resistant at the very least) and are just the right size for a digital camera. Tip 3: One of the best parts of traveling is eating. If you go out to eat or hang out at a bar that has cardboard coasters, consider snagging a few – they make very original, super crafty gift tags… especially for beer drinkers! In addition, if you’re familiar with Indian or Hindu culture, you may have heard of the Holi Festival or the Festival of Colours. This annual celebration in India commemorates the beginning of Spring and the defeat of evil. (While not an overly religious holiday in India, it does mark the death of the demoness, Holika, who was defeated and burned by Lord Vishnu. I.e. : good triumphing over evil.) The highlight of the Holi Festival, like The Color Run, is the brightly colored power thrown at people. There’s dancing, food, music and even a wickedly big bonfire. Who would have thought that Festival of Colours half the world away would inspire a running event here in the states?! Very cool. Even elephants participate in the Holi Festival! 30 runs in 30 days – aka: running every day. I’m already sore but I’ve read that it takes 21 days to make something a habit… I have 5 days already under my belt! 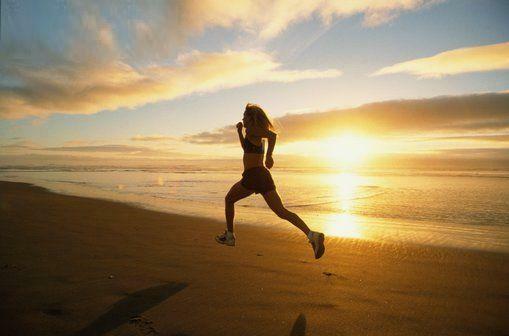 Learning to enjoy running is going to be very difficult for me but I’m ready to shred it! Running some local races – including the famous Color Run (more on this run in an upcoming post) and some island races in the area. This is a great way to socialize, challenge myself and see my training pay off. Goals are empowering and good motivation. So excited for this race! 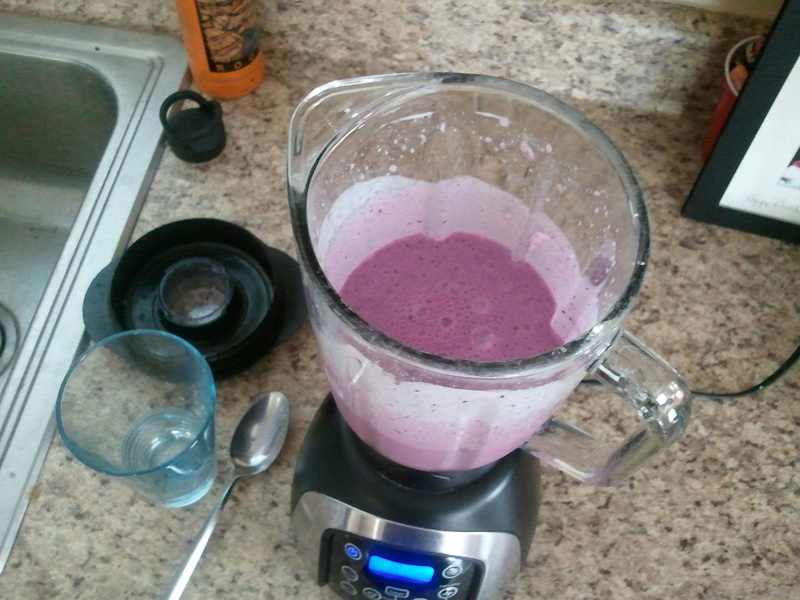 Liquids for breakfast and lunch – to cut down on calories and grocery expenses, I’m going to juice and make smoothies for every breakfast and lunch. We have a stellar grapefruit tree in our back yard and a fantastic produce stand just 2 blocks away from our house. It’s perfect! 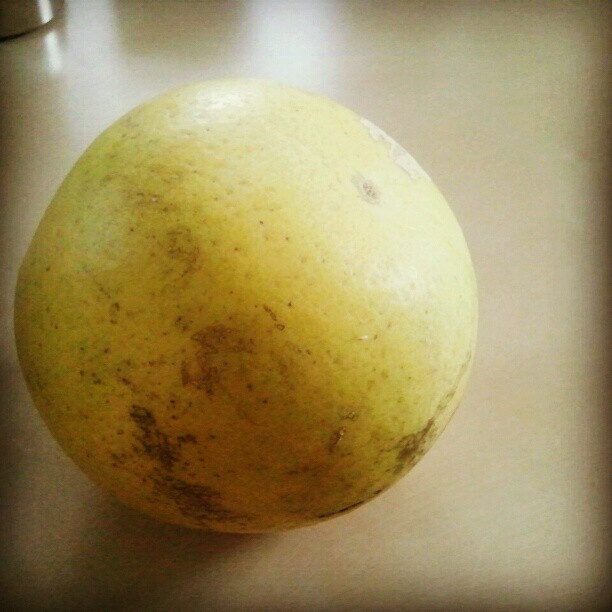 First grapefruit of the season! SO juicy and delicious. Yum! Daily dinner challenge – dinner will be “real” food (i.e. : solid foods) but I am challenging myself to see how much of my dinner can be made with locally-grown produce from the produce stand. This way, I can eat healthy and help out a local business! Not biting my nails – this has been a bad habit of mine for as long as I can remember. However, I’ve discovered that if I paint my nails, I don’t nip at them! So I purchased some obnoxiously awesome nail polish with giant, glittery confetti in it and my nails have never looked better. 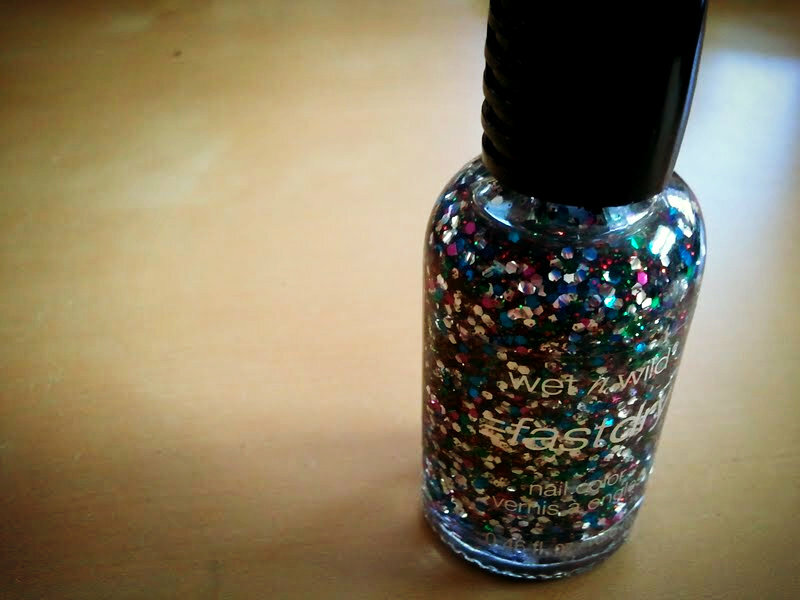 My new Wet ‘n Wild glitter nail polish. It’s like wearing confetti! 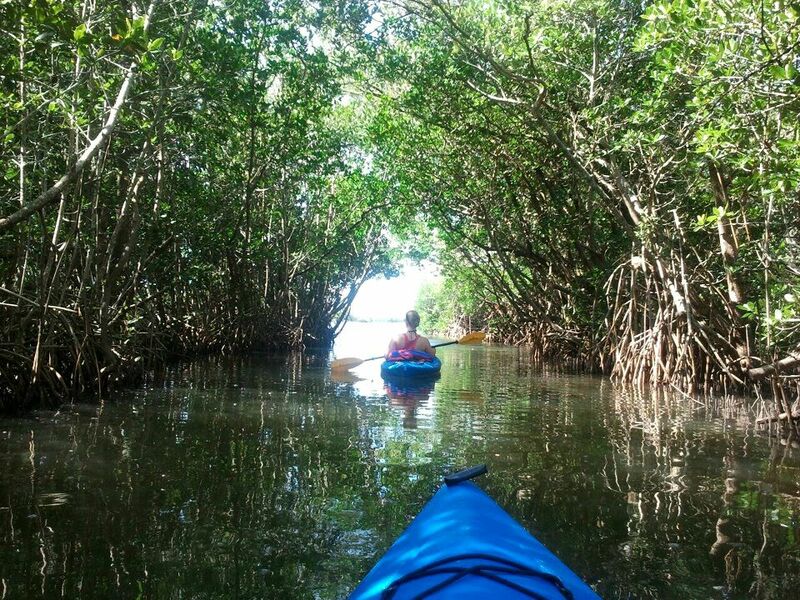 Kayak trips – We live less than a mile from the beach and the mangroves (perfect spots to put in kayaks) and there are dozens of intercostal waterways and uninhabited islands to discover. I will plan half-full day kayak trips so I can explore the area and get back on the water. I find the water rejuvenating and meditative…and I can’t wait to get back out there! The mangroves are practically in our backyard! This challenge will be…. challenging. But I’m excited for the adventure I look forward to my new lifestyle… and my new body! And thanks to things like Pinterest, there are lots of tips, tricks and endless inspiration! 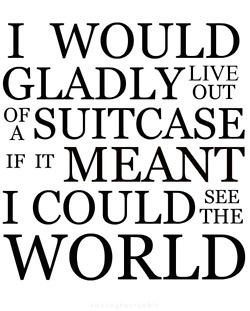 … to travel the world? Today’s travel tip: How to make postcard travel art! I love postcards. September might even say that I am obsessed with postcards. I love sending postcards, receiving postcards, and collecting postcards that catch my eye. I was at a store about 6 months after we moved to Florida and purchased 15+ postcards to send to my family. The cashier looked at me like I was slightly insane and asked where I was from (she thought I was a tourist because I was snatching up so many of the colorful cards.) While I was too embarrassed to tell her that I had been living in the area for half a year, I fibbed and said I had just moved a few days ago….. then I B-lined out of the store. So it was no surprise that while on our recent road trip, September found me at the gift shops at the Grand Canyon and Yosemite National Park, eyeing the racks of….POSTCARDS! This time, though, we had a new approach. 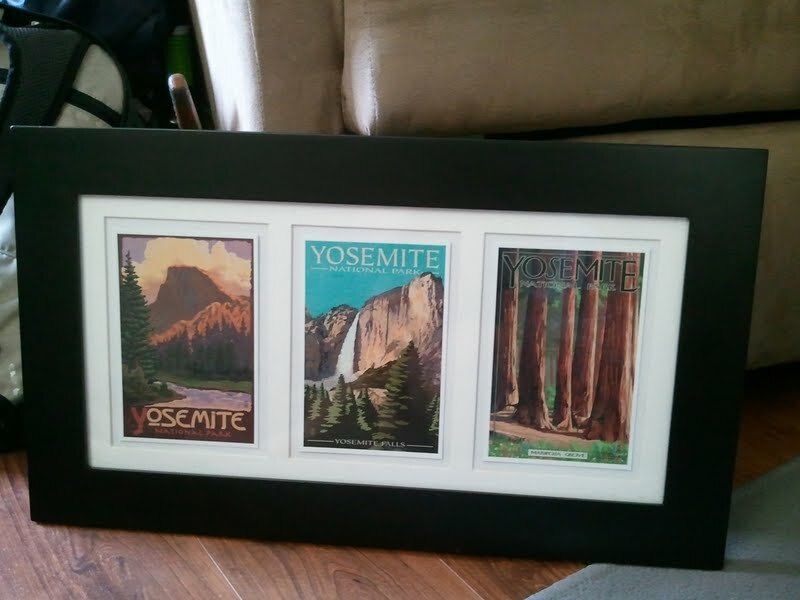 We decided to get a stack of touristy cards for our friends and family (which we still have yet to send to them) and for us, we picked 3 vintage cards to use as wall art! Use postcards as wall art! Post cards are inexpensive, small (so they’re easy to pack) and a great way to commemorate a trip. We already had the frame – it was just sitting vacant collecting dust. Now, we have a fun piece of art that will always remind us of our road trip through the southwest. This whole project cost less than $1!